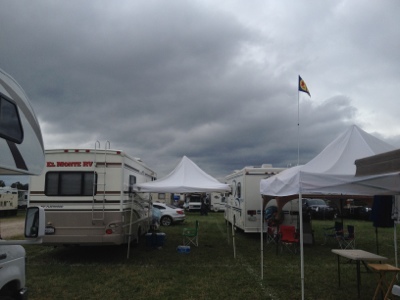 Last Day at Bonnaroo and the weather outlook is not so good. It rained from 5am to around 9:30, making this place a mess. I plan on listening to the beach boys and Bon Iver before catching fun. Phish is the last act of Bonnaroo 2012 beginning at 8pm. We’ll be headed out then. 3:00pm: The beach boys sound great. It’s a pretty sparse crows for them to be listed as headliners and playing the main stage. They’re playing all of their hits and Brian Wilson sounds amazing. Folks are laying down, playing frisbee and enjoying the last few hours before the rain. They’re playing everything from Good Vibrations to Kokomo. 4:00pm: Mac Miller is a skinny little hood rat but there’s something about him that makes him charming for a white rapper. He doesn’t take himself too seriously and tries hard to make his show a party. With it being the last day and dark clouds hanging overhead, folks look apprehensive and several are leaving early. 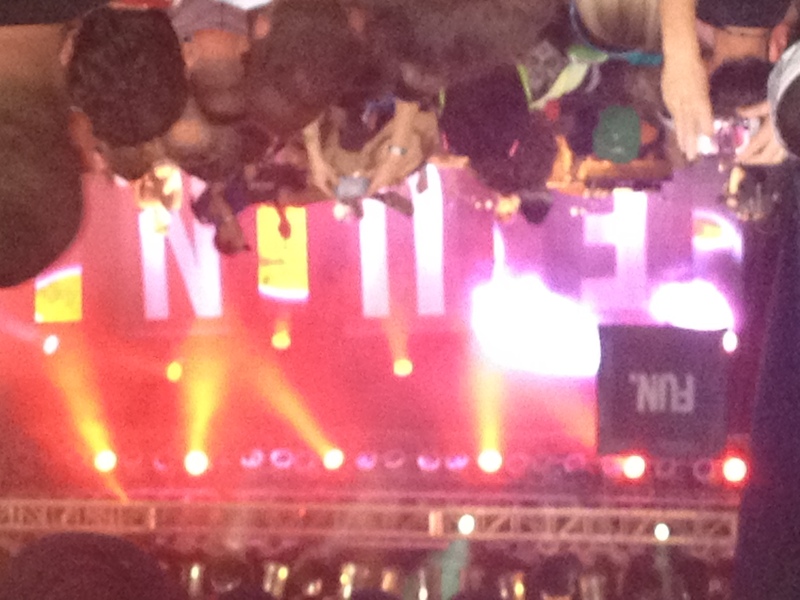 If fun. wasn’t playing in two hours, I’d leave too. In between the Beach Boys and Mac Miller I walked the loop to catch City and Colour and The War on Drugs. Both bands sounded good and are worth looking into. 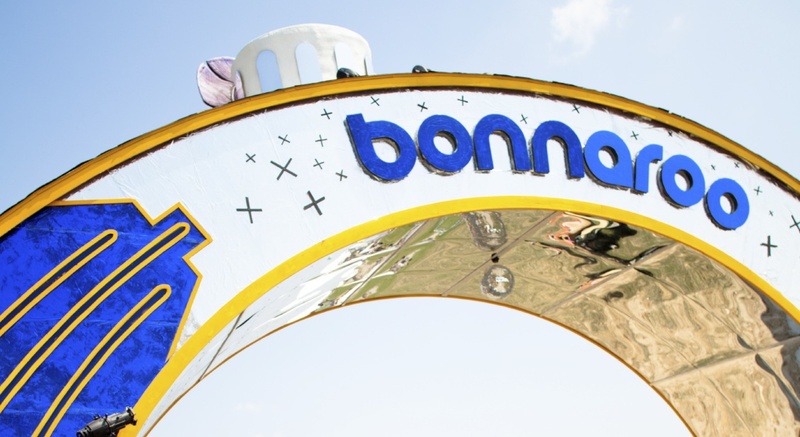 Y’know, there’s other stuff do do at Bonnaroo other than music. 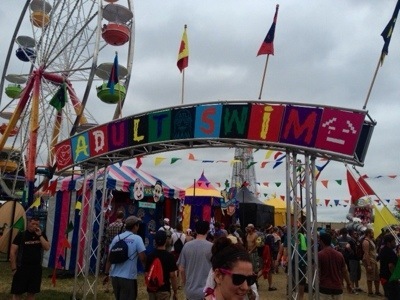 Several vendors have elaborate booths set up, such as the Adult Swim Carnival. 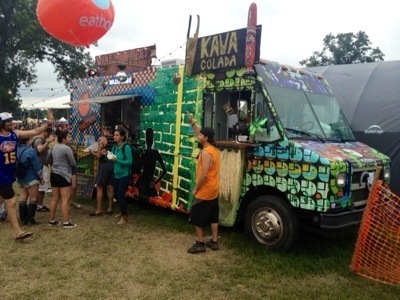 Food truck mania is also catching on everywhere. 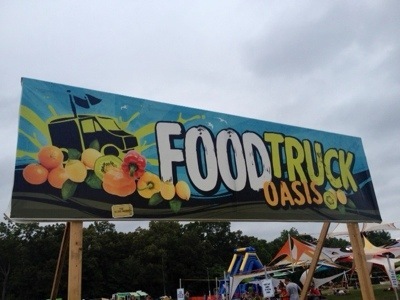 This year Bonnaroo has a food truck court for fans of meals on wheels. Eat your heart out HotDog Mike. 5:30: Bon Iver takes the main What Stage. I still dont get it. Its just a bunch of mumbling. 6:15: The Civil Wars take The Other Tent. I caught the first two songs. They’re playing in Jonesboro in October for the Johnny Cash festival so I opt to head to another stage for a good spot to watch fun. 6:45: fun. put on the best show of the festival. Nate’s voice is back in action from being sick last week. The tent was way too small for such a show. The audience spilled out into roadways and vendors. Nate looked bewildered at times by the size of the crowd. Similar to Dawes, the band didnt know just how big they had gotten until they saw how big their crowd was. It was one giant sing along. 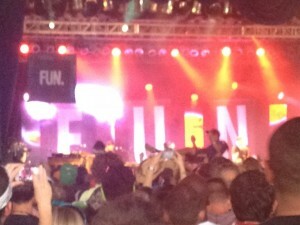 After closing with “We Are Young”, the band encored with a cover of the Rolling Stone’s “You cant always get what you want”. The perfect ending to a great Bonnaroo. 8:30pm: We’re leaving and Phish is playing. Nope, I still dont get it. 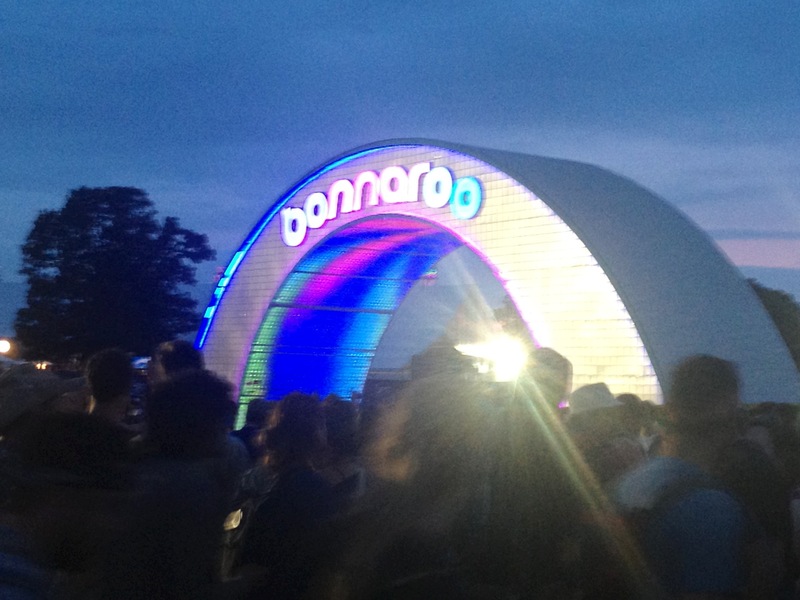 So long Bonnaroo. Thanks for another great year! See you in 361 days.